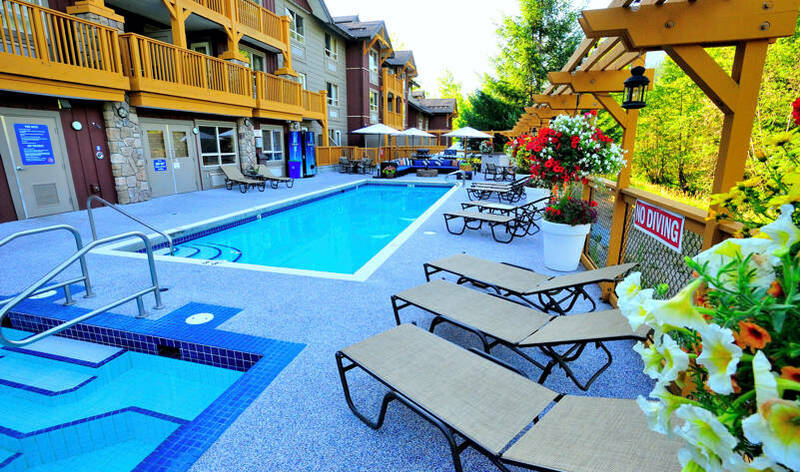 Located on the Main Floor is our Outdoor Pool and Hot Tub. Relax by the pool, take in some sun and soak in the surrounding mountainside scenery and when you are ready our hot tub and steam room is ready for you. Pool towels are provided. Open 7:00 AM to 11:00 PM. Adults only 9:00 PM to 11:00 PM. No lifeguard on duty - children under the age of 16 must be accompanied by an adult at all times.